On November 9, 2018 Cheyenne Middle School will be celebrating those who serve or have served our great country. 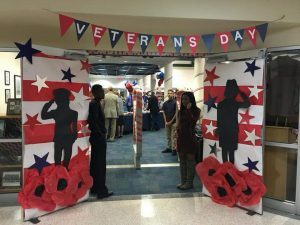 A reception for veterans will begin at 12:30 p.m. followed by an assembly from 1:30 – 2:30 p.m. The veterans in attendance are all relatives of our 8th-grade students.